The United Nations (UN) has stressed that there are strong links and contacts between the armed terrorist organizations in Syria and the Zionist entity. 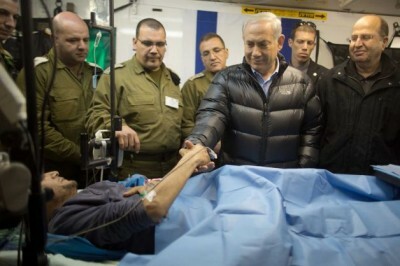 The report said that members of the so-called “armed opposition” transported 47 of its wounded members through “the ceasefire line” and handed them to the “Israeli army”, indicating that the “Israeli army” handed 43 of the wounded who were treated at the Israeli hospitals to the armed terrorist organizations. The report talked about the attack of the terrorist organizations including Jabhat al-Nusra against the positions of the UNDOF personnel and how they seized a number of their vehicles and equipment and how they used the UN uniform. It added that the UNDOF Commander was in constant and regular contact with the Syrian Arab army in the area as the army provided all types of support to guarantee the evacuation of the UNDOF personnel. The report affirms what Syria has always mentioned about the close relations between the armed terrorist organizations and the Israeli occupation authorities which shows how much the Israeli occupation is participating in the sinister conspiracy hatched against Syria. The cooperation between the terrorist organization of Jabhat al-Nusra which has been designated as a terrorist group by the UN and the Israeli occupation authorities shows that Israel supports a terrorist organization which requires a response from the international community.